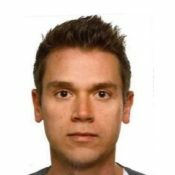 Daniel Fischer started with ECKART GmbH in 1999 by completing ECKART’s Apprenticeship Scheme in Coatings & Paint Technology, where he gained detailed training in the chemistry, formulation, manufacture, testing and application of Effect Pigment Paints and Coatings. During his employment with ECKART GmbH, Daniel has worked with many different paint systems in a wide range of Application Fields. Daniel’s current role lies within the ECKART Technical Service Department, where he spends most of his time working directly with ECKART customers, and even the end users, to provide value-adding solutions to wide ranging opportunities.